Integrating your enterprise resource planning software with your eCommerce and/or customer portal not only leads to greater efficiency; it can also make it possible to simplify tasks for both your business and your customers. One example is having the ability to easily send invoices and enable online bill payment through your customer portal tied to your ERP system. An integration between your portal and your ERP system allows invoice payments to be made from anywhere, making doing business with your business easier for your customers. An ERP and customer portal integration allows the two systems to transmit and share information between one another. Your customer portal is able to call for information that is held in the ERP system when it needs it. For example, when a customer logs on and wants to view their information, such as an invoice, purchase order, or quote. Likewise, when data is updated in the customer portal, it is also updated in your ERP system. The ERP and customer portal integration makes it easy for customers to access and pay their invoice from the customer portal. First, when an invoice is completed, your automated email system could either send your customer the invoice as an attachment in an email or let the customer know that the invoice is ready to be viewed through the customer portal. Once the customer logs into the portal using their unique customer ID; their records would be pulled from the ERP system. 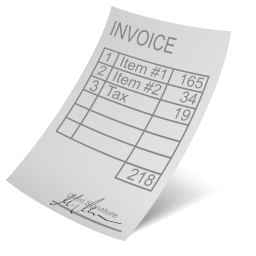 Next they would be able to view the invoice and make a payment, which could be through credit card, check, purchase order number or any other format that your business accepts. After the payment has been completed, the invoice ID and payment status attached to the customer ID get sent to and updated in your ERP system. 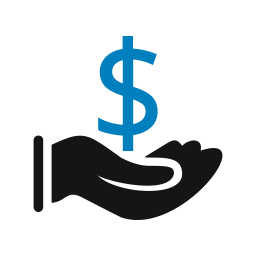 One of the positives of setting up an online bill payment system tied to your ERP system is that there is no need for human intervention on your business’s part. You won’t need an employee taking the payments or rekeying data from your customer portal to your ERP system. This saves an abundant amount of time while reducing the chances of human error. There is also no lag time between receiving a payment and having it entered into your systems which means that your numbers should match up and your data will be up to date. At Clarity, we know the impact that integrations can have on businesses. In many cases, we have seen how integrations can help increase productivity and accuracy. Clarity has done many ERP integrations for both our B2B and B2C clients. Our team of experts has worked with all of the top enterprise resource planning softwares and is capable of integrating them with your customer portal or eCommerce platform. To find out more about online bill payment with integrated ERP or to schedule a consultation to discuss your own ERP integration project, call or click to contact us today!